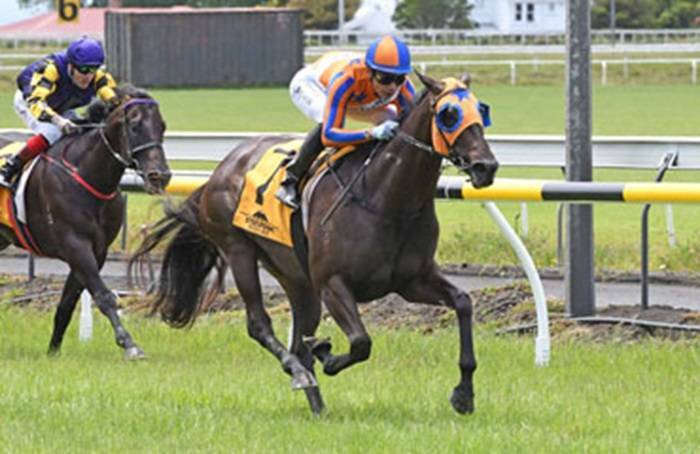 Burgundy looks like he could have something special in the pipelines in the shape of today’s 5.5 length debut winner at New Plymouth, Burgundy Belle. The three-year-old filly had won both of her most recent trials for owners Fortuna Burgundy Belle Syndicate (Managed by John Galvin) and when she greeted the starter for the first time today, the Jamie Richards-trained filly proved way too good in the hands of Shafiq Rusof. “She’s shown a lot at home and the blinkers have improved her,” said Richards. “Her dam was very good and won the Eight Carat Classic when trained by Mark Walker,” Richards explained.